Exciting news! 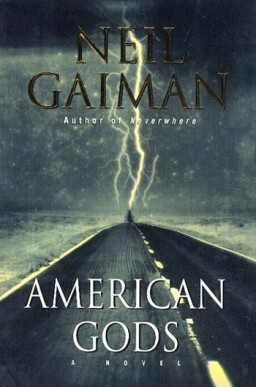 Neil Gaiman's classic novel, American Gods, is coming to TV! I am usually completely against TV adaptations and even more so when they involve the sacred texts of Neil Gaiman, but this announcement has filled me with glee and hope because this adaptation is going to be done RIGHT. The man taking on Neil Gaiman's epic novel is none other than the genius behind Hannibal and Pushing Daisies, Bryan Fuller! That noise you heard is a whole bunch of Gaiman acolytes and Fannibals screaming with obscene amounts of joy. There is no show runner around that I can think of that could do American Gods justice than Bryan Fuller. His lush, fantastical TV shows are fan favorites. Just think of the sunny magic of Pushing Daisies and the dark elegance of Hannibal brought together to give us American Gods. Oh yes. OH YES. The announcement was only made yesterday and already the fans are foaming at the mouth to learn more. On Twitter, both Fuller and Gaiman had been inundated with questions about plot and character casting. The show will air on Starz so they have every chance to go just as dark as the original text calls for. Since Gaiman and Fuller haven't made any comments about casting yet, I thought I would lend a hand and cast it for them. Follow me under the cut for my totally-never-gonna-happen fan cast of the TV adaptation of American Gods. Shadow Moon: The main character, an ex-con with secrets thrown into a world of magic and intrigue. I imagine Khal Drogo himself, Jason Momoa, would be perfect. At least in looks. He needs some more acting chops to really pull off the pathos that Shadow has. Laura Moon: Shadow's wife, she's killed in a car accident just days before Shadow is released from prisoner and it turns out she was cheating on him. She haunts him throughout the novel. I feel like Fuller will continue to pull from his former projects to staff American Gods, which is why I submit Anna Friel for this role. She can look winsome, beautiful, but I believe she could also pull off the ugliness of this role. Mr. Wednesday: Ahhhh, the man himself, who sets everything in motion for Shadow. 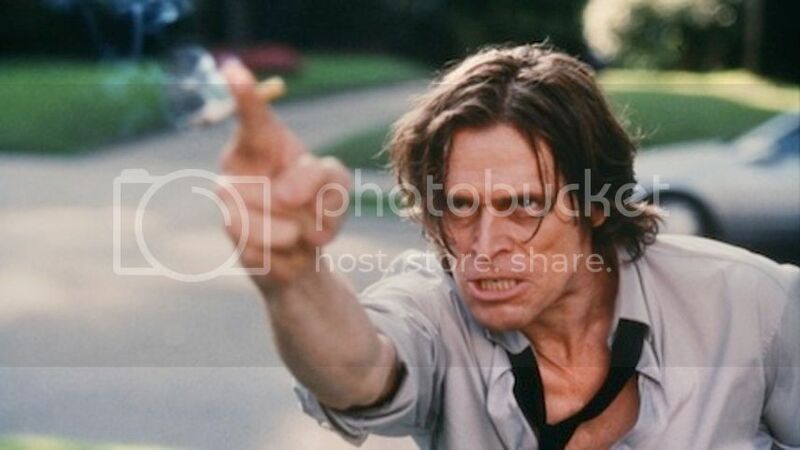 As much as I'd like to put Hannibal lead Mads Mikkelsen in this role, I think it should go to the always spooky Willem Dafoe. He can look monstrous and frail all at the same time, and he has the on screen presence. Would he want to commit to doing TV? Czernobog: A slavic god that joins with Mr. Wednesday, he's strong but elderly with a sour smile. I feel you could go many directions with this role, but I honestly think Mikhail Baryshnikov could be amazing. He isn't as old as Czernobog, but I can see him playing him with aplomb. He has a quirky look to him and carries himself with such strength and grace. Mr. Nancy: One of the highlights of the novel is Mr. Nancy, a trickster god who always has a joke about everything. I know many, many people will clamor for Idris Elba to have this role but I honestly don't think he has the comedic timing. Reaching back into Gaiman's own screen history, I'd love to see Paterson Joseph be offered the role. He was the Marquis de Carabas in the BBC production of Neverwhere and I think he has the snark and comedic chops to pull Mr. Nancy off. As a back up, I'd also suggest Mos Def, who was Ford Prefect in the uneven Hitchhicker's Guide film. Easter: A more minor character but I have MASSIVE FEELS about this casting. It has to be Christina Hendricks. Boom. Done. I also really want Charlie Day to have a part somewhere. Please. Tell me in the comments who you would cast for American Gods! Vin Diesel should be Shadow and that's that. I keep wondering when Lee Pace will be on Hannibal already.